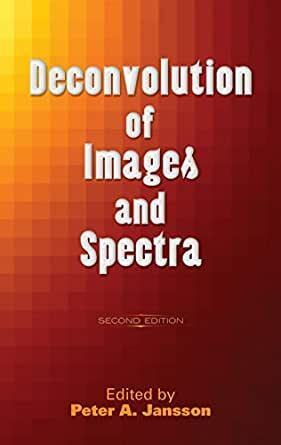 Deconvolution is a technique in signal or image processing that is applied to recover information. When it is employed, it is usually because instrumental effects of spreading and blurring have obscured that information. In 1996, Deconvolution of Images and Spectra was published (Academic Press) as a second edition of Jansson's 1984 book, Deconvolution with Applications in Spectroscopy. This landmark volume was first published to provide both an overview of the field, and practical methods and results. The present Dover edition is a corrected reprinting of the second edition. It incorporates all the advantages of its predecessors by conveying a clear understanding of the field while providing a selection of effective, practical techniques. The authors assume only a working knowledge of calculus, and emphasize practical applications over topics of theoretical interest, focusing on areas that have been pivotal to the evolution of the most effective methods. This tutorial is essentially self-contained. Readers will find it practical and easy to understand.